The work has centered around Co-Design platforms. Specifically reuse and sharing of applications and experience between Public Sector organisations. Part of the results goes into the development of Microsoft Solution Sharing Network. 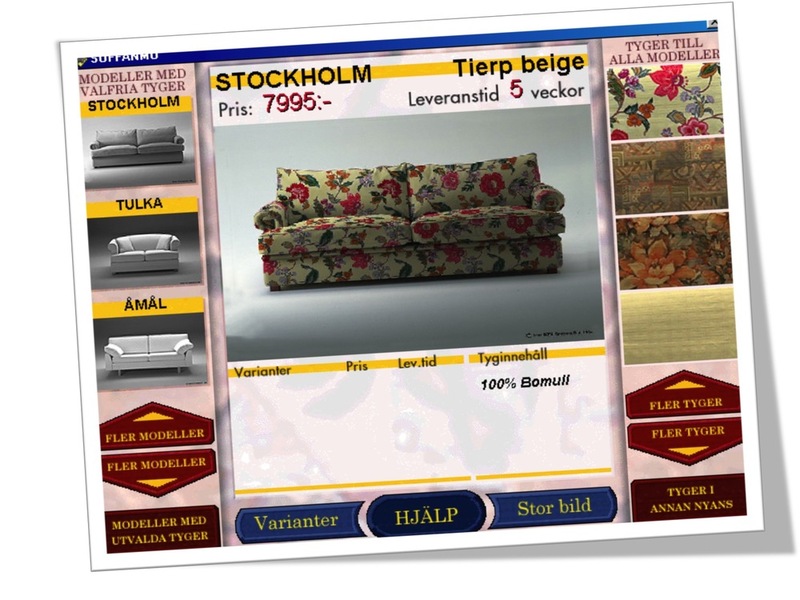 IKEAs first interactive sales point. Volvo Car Corporation engaged Lars Albinsson to put the FAST project back on track. The project eventually delivered the radical Sales Support system used in selected countries during the 90ies. Volvo also initiated the MIT consortium at our recommendation, to further the field of IT used in customer communication. Lars Albinsson was the manager of the MIT consortium. IKEA was the member of the MIT consortium and they developed and deployed their first interactive kiosks in the stores during the project. We helped VINNOVA and the Nordic Council of Ministers' research body NordForsk design and create Citizens' Services, the first Nordic-Baltic research program with common funding. The program was designed using a Content Before Container process in all 7 seven countries of the region, organized and led by Maestro Management. Telia engaged Maestro Management as Creative Director for developing Broadband Content Services for the launch of Telia Broadband. The demonstrators of these services were used in the sales and marketing as well as in the IPO process of Telia. They were important tools in showing that Telia could deliver great content as well as great infrastructure at a time when several competitors was entering the market. Lars Albinsson was member of the board of E.ON companies Sakab and Ecoplus 2004-2008. Sakab is the leader in treatment of hazardous waste in Sweden. Ecoplus is a new player in the field of gaining energy from househould waste. Lars specific appointment was to help the companies in the ongoing derregulation of the European waste industry. Lars Albinsson is a Ph D candidate at University of Borås and Linköping University. Most of his publications are available at Calistoga Springs Research Institute. A large number of partners including Microsoft, Visa, Intel, Telia, Mecenat, Liber and several universities and others was working together on the design of next generation of internet services, based on a common “personal e-service”, the e-Me. The design was been driven by the "Content before Container" approach and involved more than a 100 students in Sweden and Spain engaging in co-design workshops with researchers and industry representatives.